These Fajita Steak Kabobs are made with an easy Mexican inspired marinade and are so easy to make ahead! 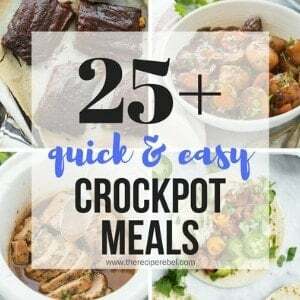 Store them in the fridge or freezer until ready to cook. 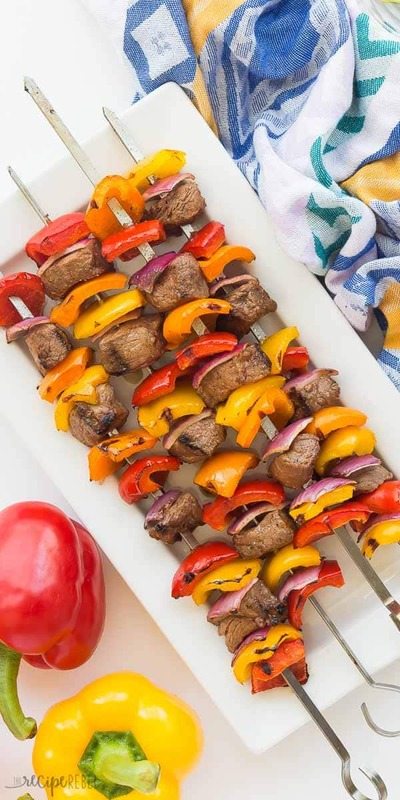 Loaded with bell peppers and onions, you can make these steak kebabs from start to finish in 30 MINUTES! With step by step RECIPE VIDEO. I was so determined to share more grilling recipes this summer (especially considering how popular these Cheesy Grilled Potatoes were! ), and I feel like the summer is just slipping away on me! 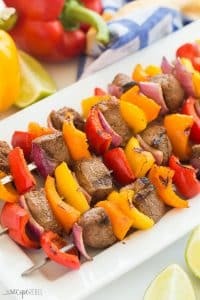 These Fajita Steak Kabobs are long overdue, but I know you’re going to love them as much as we do! 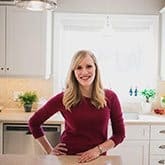 Steak can be a tricky thing to cook (unless you are a lean, mean, steak grilling machine, but that is not me!). I love to cook steak on skewers because it is easier to manage, cooks more quickly, and there’s less worrying about the outside being overcooked while the inside is not yet cooked to your liking. You can absolutely use whichever veggies you like on here (go for a Steak and Potatoes style like these if that’s your style! ), but I wanted to keep these steak kabobs “fajita style”, so I used colorful bell peppers and red onions. These skewers are naturally dairy-free, just be sure to check all of your ingredients. These skewers are naturally gluten-free, again, just be sure to check all of your ingredients. These steak kabobs obviously aren’t meant to be vegetarian, but you can absolutely use the marinade to make a vegetarian style fajita kabob. Choose a good cut of steak, so that you don’t have to worry about it becoming tough on the grill, especially considering the short cook time. I like to use striploin, but if it doesn’t fit your budget you can use a sirloin instead (though I would try to give it a little extra time in the marinade). 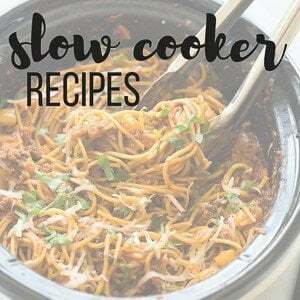 There are a few ways you can make these ahead to make your life a little easier around dinner time! You can cut the steak into cubes and store in the marinade in the fridge for 12-24 hours if desired. You can store the steak cubes in the marinade, in a freezer bag, in the freezer for up to 3 months. 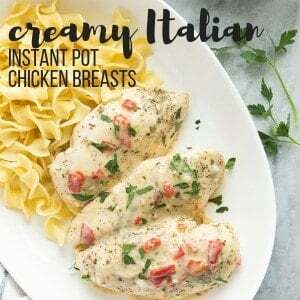 Simply remove from the freezer and allow to thaw in the refrigerator overnight before assembling and cooking. You can assemble the kabobs and store them, covered, in the refrigerator for up to 12 hours before cooking. The flavor in the marinade really takes these kabobs to the next level! It’s simple to make, so I don’t recommend skipping it, even if you don’t have much time to let it rest. If you’re short on time, simply leave the steak in the marinade while you cut up your other veggies and preheat the grill. I recommend making the steak marinade right in a large freezer bag to save on dishes. I like to use large freezer bags for marinades because it’s easy to completely coat the meat and massage the flavors right in. If you prefer not to use plastic bags, you can absolutely use a glass storage dish to prep the marinade and soak the steak cubes. Just be sure to select a dish that is not too big, so that the marinade will cover as much of the meat as possible. Watch the recipe video for these easy Fajita Steak Kabobs down in the recipe box! In a large ziploc bag or glass container, combine all marinade ingredients. Add the steak cubes, stir, seal, and let sit in the refrigerator for at least 1 hour, or up to 24 hours. Preheat the grill to medium-high, or about 375-425 degrees F.
Remove the steak from the marinade, and thread onto a skewer, alternating with bell peppers and onions. Grill kabobs for 5-6 minute on each side, until desired doneness is reached. Whatever you do, don't overcook! Serve immediately with rice or flour tortillas if desired. It's difficult to calculate the nutrition information for a recipe like this because most of the marinade is discarded and will not be consumed. Please keep that in mind. I can’t wait to fire up my grill for this deliciousness!